This program allows unlimited decompression wreck penetration to a maximum depth of 60 meters (during training). Like the other overhead programs, the training required for this type of diving is overhead, high level buoyancy control, finning techniques, laying line and the proper use of a light. You will also learn about a lost line, lost light and lost diver procedure. 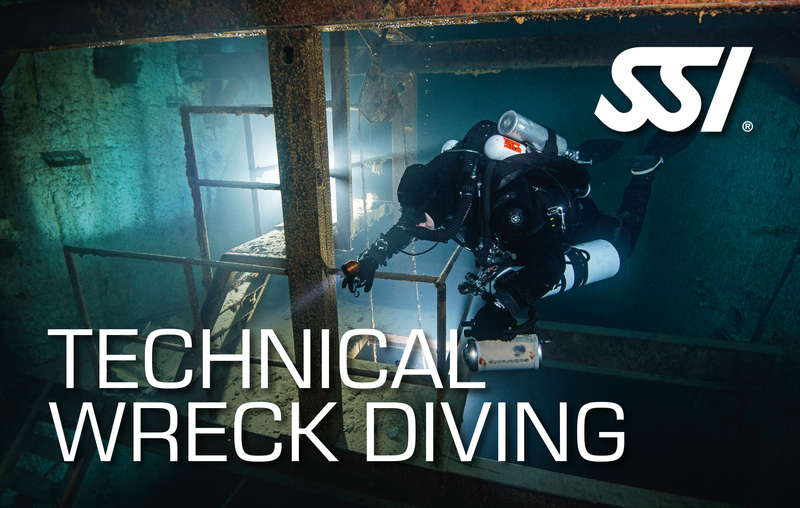 Upon completion you will be certified as follows: SSI Technical Wreck Diving Instructor.